Eli Infante is a Dominican brother from NYC, a #menswear legend, artist, activist and good friend. In honor of #LatinoHeritageMonth, we are profiling brothers from across the Diaspora and asking them how they celebrate their respective cultures. Read on! Latino culture in my eyes is vibrancy, constant vibrancy. I see colors, I see movements, I see flavors, I see compassion and openness. An everyday movement of lives lived through endless expression. How do you bridge the gap between old traditions from the Dominican Republic and American culture you grew up with? I believe by being exactly who I am, in itself is bridging the gap between Dominican and American culture. I was raised with Dominican values simultaneously with American values through society. My language and my use of it is an example of how I bridge these traditions, these two worlds together or even the way I dress and carry myself. I gain inspiration from moments in both histories, life, and emotions of the times. Culture has a way of sewing new threads into its fabric and I always aim to be a new thread in history. The more I continue to work on my own craft and represent the orgullo that we are known to carry, the more others can take note and become influences in their own right. Who is your favorite Latino author/book and why? My favorite form of receiving creative information is film. 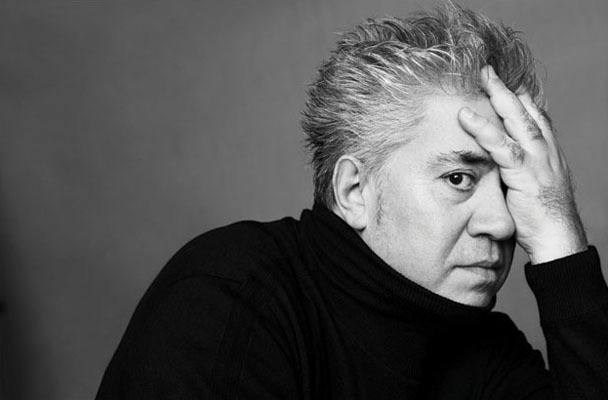 In college, I studied film and was introduced to Pedro Almodóvar. As an immediate fan visually, I too ended up agreeing with his view on having predominantly strong women characters at the forefront in films. I also feel that his style is hard to pin down which shows an ability to transform & transcend. What representations/stories do you want to see in the media about Latinx today? I want to see more stories on the families, the mothers who paved ways for their children to influence society in the way they have. Seeing more success stories, more celebration of Latinx creatives who continue to embody what it means to be Latino. How do you pay it forward in your career for other Latinx looking to explore a career in Fashion? I am U.S.-born with parents from the Dominican Republic, raised in latino, black, Caribbean, middle eastern neighborhoods throughout my life. I feel I represent all in my successes & even through appearance. Growing up I've always felt a connection to many different groups and traditions of people of color. I started a menswear style site that focused on style but also highlighted the fact that we as mankind can be better and represent ourselves, our cultures, ideas, and our worlds in a light that those who aren't from our neighborhoods would usually see. I'm hoping to be a source to anyone looking for inspiration. When my fellow Latinos reach out looking for guidance in this respective industry, I share the knowledge I've gained throughout my experiences. In another route, growing my channel to the best I can grow it too, will allow me to highlight other shining lights that share the same cultural values I feel I hold. How do you celebrate your culture 365 days a year? Just being me is being unapologetically Latino in my eyes. But in specific areas of my life, I try to include it in my work when I can. Partnering with brands that want to work with Latino influencers/editors to share our take on their brands is always a blessing. 365 days a year I keep my eyes and ears open for friends, new talent, and anyone else that can serve as an inspiration for me to continue setting examples for others.